It has never been easier to save cash with Cayo Espanto vacation packages on Expedia. You'll have heaps more time to sort out the fun stuff — and more cash to splash! Wouldn't it be nice to save up to C$590*? Buy your package deal on Expedia now! You can pick from more than 400 partner airlines and 321,000 worldwide properties on our extensive database of accommodations and flights. Fly with who you want, stay where you like — now that's a dream vacation! Not sure about your booking? There is no cancellation fee from us for changing almost any reservation. Nearly ready to head off on your Cayo Espanto vacation? Haven't got a clue what sort of things to put on your travel program? No need to fret — we'll give you a few suggestions. Immerse yourself in nature at Hol Chan Marine Reserve and see the valuable work they're doing to safeguard wildlife and natural habitat. Adventurers have a great range of options in and around this destination. Discover intriguing ideas and brilliant artwork at Belizean Melody Art Gallery. It displays a rotating schedule of works that are sure to interest art aficionados. Still have some time on your hands? Cast your gaze over the exhibits at The Gallery of San Pedro Ltd. If something catches your eye, have a chat with the attendant and hear about the artist who created it. End your day of activities with a cozy bed and a fluffy pillow. 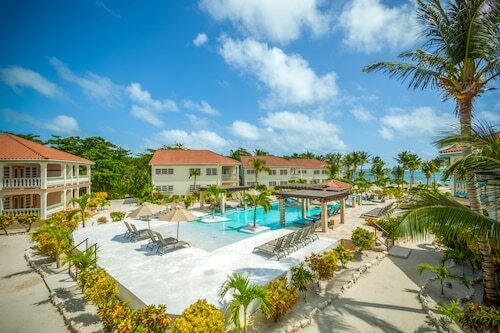 Look at the 38 accommodations in Cayo Espanto on offer via Expedia and pick one for your cheap vacation or luxury getaway. If you enjoy the high life now and again, why not splash some cash and indulge yourself at the Belizean Cove Estates (Ambergris Caye) or the Las Terrazas Resort and Residences (Barrier Reef Drive)? If you'd rather spend your cash on things such as hair-raising adventures and rowdy nights out, why not check out a few of our low-price options? 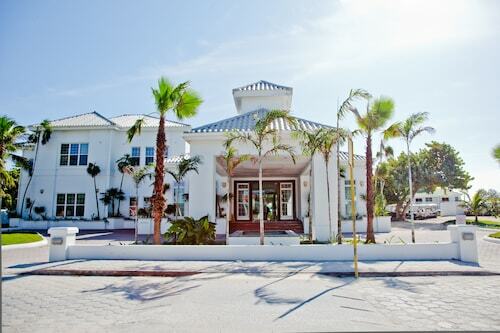 The Grand Colony Island Villas (Sea Grape Drive) and the Pedro's Inn Backpackers Hostel (Seagrape Drive) come recommended. Booked those plane tickets for your trip to Cayo Espanto yet? When you get there, get ready to walk out into Philip S. W. Goldson International Airport (BZE). It's 35 miles (56 km) from the terminal to the main streets of town. Situated in Cayo Espanto, this hotel is within 3 mi (5 km) of Belize Barrier Reef, Black & White Cultural Entertainment Center, and Belize Chocolate Company. San Pedro Belize Express Dock and Reef Runner Glass Bottom Boat are also within 3 mi (5 km). Situated in San Pedro, this hotel is within 1 mi (2 km) of Black & White Cultural Entertainment Center and Belize Barrier Reef. Belize Chocolate Company and San Pedro Belize Express Dock are also within 3 mi (5 km). Located 3.5 miles north of San Pedro Town on the island of Ambergris Caye, this luxury resort offers the utmost in waterfront relaxation, romance, and adventure in Belize. 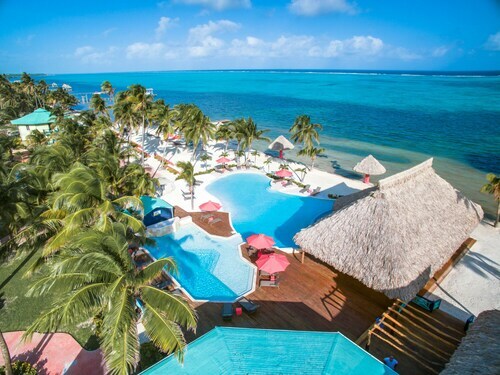 Ambergris Caye Island, famed for scuba-perfect waters, is the setting for this peaceful beachfront resort with easy access to Belize Barrier Reef; San Pedro is less than 7 km (4 mi) away and Belize City is 43 km (27 mi) away via ferry or plane. Nestled on the beach, this San Pedro villa is within 1 mi (2 km) of Black & White Cultural Entertainment Center and Belize Barrier Reef. San Pedro Belize Express Dock and San Pedro Central Park are also within 2 mi (3 km). Nestled on the beach, this San Pedro hotel is just steps from GoFish Belize and Belize Barrier Reef. Belizean Melody Art Gallery and The Gallery of San Pedro Ltd are also within 15 minutes. 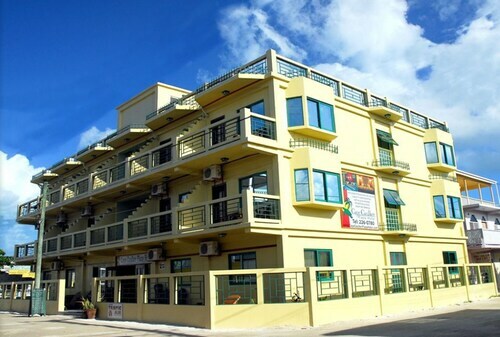 Situated near the airport, this hotel is steps from Caye Caulker Sand Volleyball Court and Belize Barrier Reef. The Split is 0.5 mi (0.8 km) away.